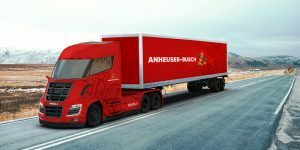 Beer brewer Anheuser Busch ordered 40 Tesla trucks. Now the company has ordered a large number of hydrogen trucks at the biggest competitor of Tesla, Nikola. The lawsuit that Nikola filed agianst Tesla, does not impress Anheuser Busch. The giant beer company intends to produce its Budweiser beers with renewable energy by the year 2020. On a daily basis, the company sells 41 million bottles of Budweiser per day. 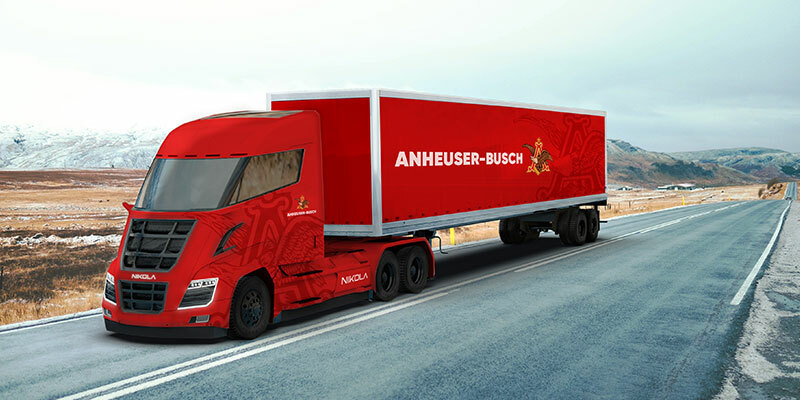 Anheuser Busch doesn’t buy the trucks, it has made a lease-deal with Nikola. Sources say that the beer brewer pays 90 cents per mile, which would make the hydrogen truck as exepnsive as a comparable diesel truck. The hydrogen start-up has some 9.000 orders for it’s spectacular looking Nikola One truck, which also gathered attention of US Express.